Next week there will be a community dinner in the food court of Mt. Blue High School (not sponsored by RSU9), 129 Seamon Road in Farmington. The $5/plate dinner is Friday, July 27th 5 – 7 pm. This dinner will help alleviate financial needs for Mat Otte whose mother passed recently, following a short illness. Mat is a beloved member of the community, and so while the mission is to help Mat financially, it will do much more. It has brought together a team of students, parents, and other community members to help Mat thrive during a time of uncertainty. It will strengthen the larger community. 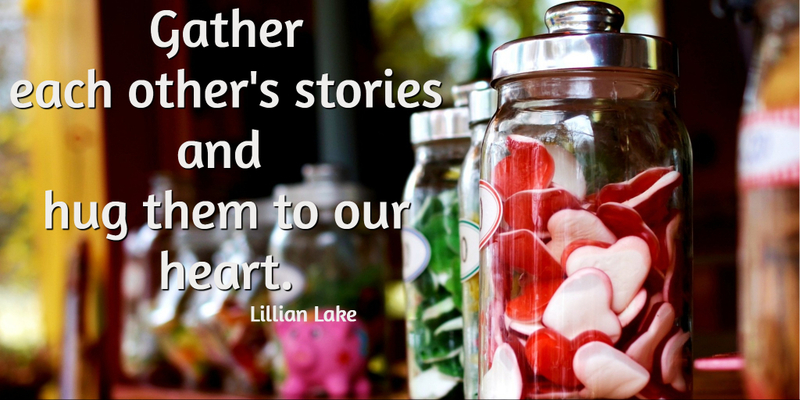 I remember the help from the community when my father passed when I was little. I know what community can accomplish at a time of grieving and unwanted change. Matt’s loving classmates, such as Grace and Ethan McIntosh, Justin Meservier; teammates such as Wyatt Viles, Aubrey Hoes, and Mackenzie Seaward; coaches, community members and parents such as Karol Maybury, Tami Labul, and Stephanie Ward and so many others have organized to provide donated spaghetti, American chop suey, salads and desserts. For planning enough food, it is requested the number of those attending in each party be emailed to grace.mcintosh@maine.edu. There will be a few tickets at the door. 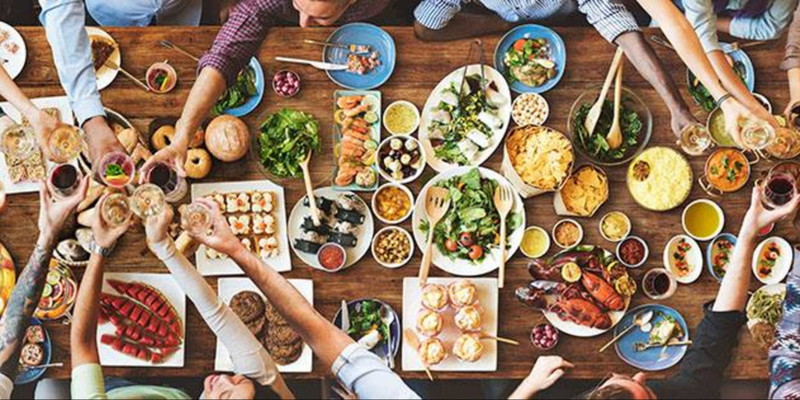 What’s special about a community dinner? The inspiration for my company’s food platform, “The Compassionate Cook – Food for the Soul” comes from the love of cooking and sharing of food. I believe that the energy we put into cooking or serving food is passed along in each portion. This means that we best serve humanity when we serve food with love and compassion. This is what will transpire at the community dinner to support Mat. Each scoop of spaghetti or American Chop Suey will be a serving of caring and love for a young man during a time of need. 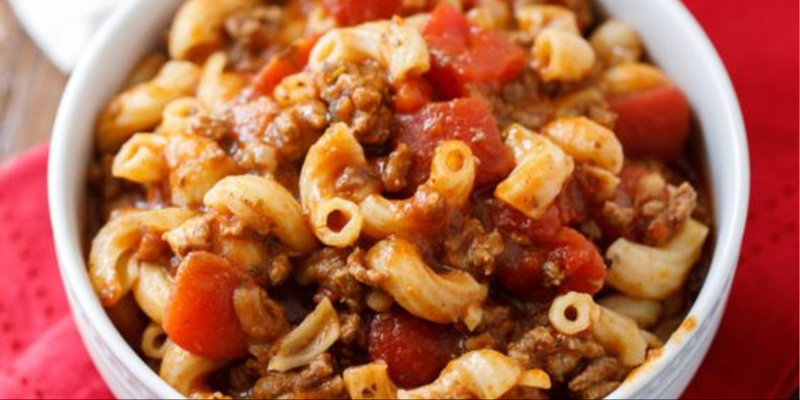 Where did American Chop Suey get its name? I’ve come up with no definitive answer. It should be called “New England” Chop Suey as it seems to be germane to this region. In other parts of the country “goulash” is served and it looks similar, but goulash seems to have one main difference, and that is the addition of paprika. Sometimes it’s simply called macaroni and beef. The dish seems to have made its debut in the ‘70’s when busy homemakers needed a quick dish to feed the family or take to a potluck. Most often it’s made in a pot on top of the stove or baked in the oven. The first time I had it was at my mother-in-law’s home. I had been anticipating something entirely different. I enjoy a good dish of Chinese Chop Suey. Sadly, I realized my confusion. One that is shared by many. My version for the July 27th dinner will be made in a crockpot. Method: Brown the beef in a skillet. Add the onion and green pepper until soft. Drain, transfer to the crockpot. Add seasonings, cheese, tomato paste and diced tomatoes; stir to combine. Cover and cook on low for 6 hours. Stir in hot cooked macaroni about 10 mins before serving. This tastes even better the next day once the flavors meld. The cheese can be served at the table as a topping, rather than cooking in the pot. Parmesan cheese can be served to sprinkle on each serving. I hope to see you at the dinner.